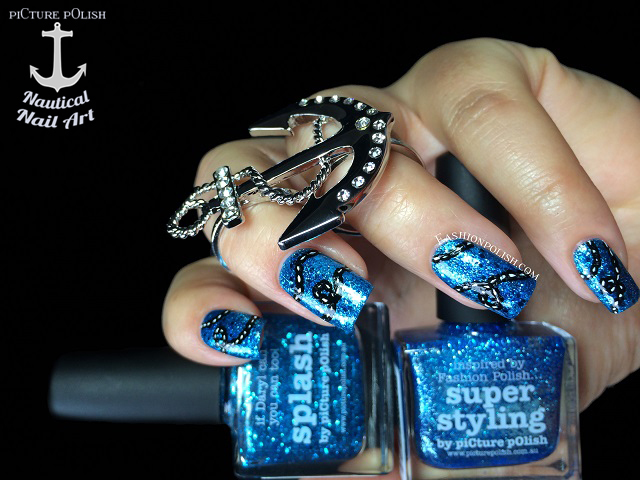 Fashion Polish: piCture pOlish Splash Nautical nail art inspired by pshiiit! 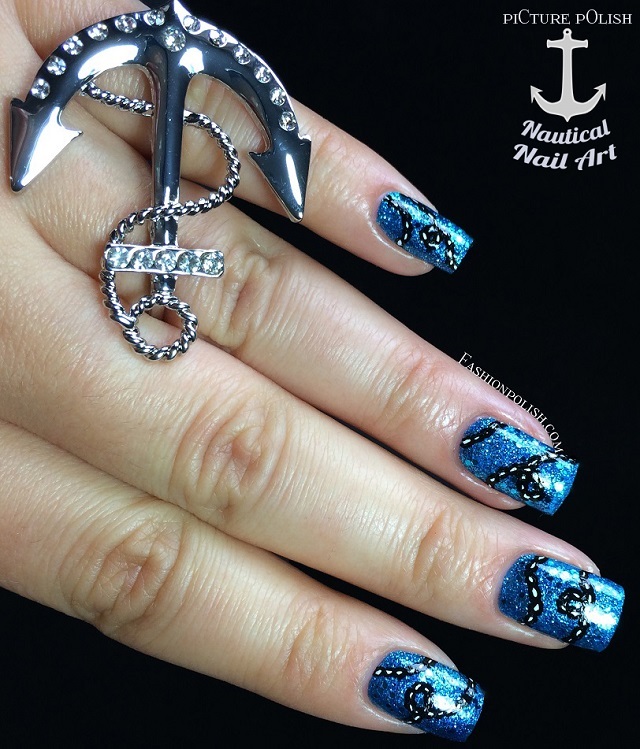 piCture pOlish Splash Nautical nail art inspired by pshiiit! I hope you've all had a great weekend! You've probably seen the sneak peek of today's manicure if you follow me on Instagram but here's the full post! 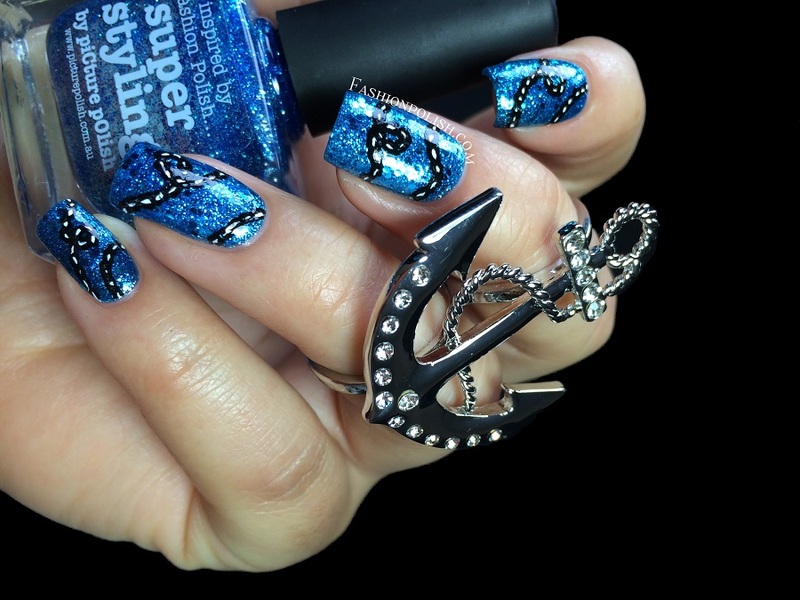 To create this manicure, I used 2 thin layers of Splash over Super Styling and took inspiration from Camille's Sea Jewel nail art here. 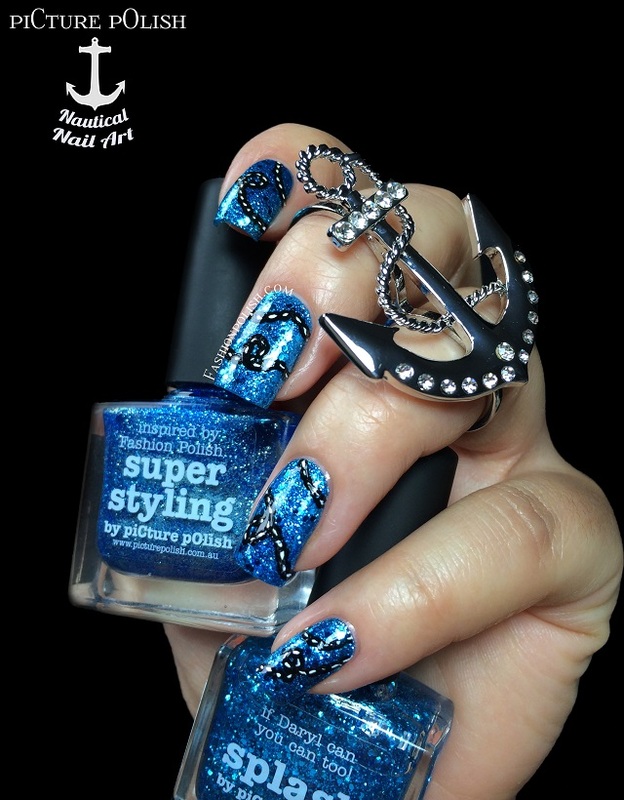 I absolutely loved the look she created when I first saw it and this blue glitter combo seemed like the perfect occasion to try it out! 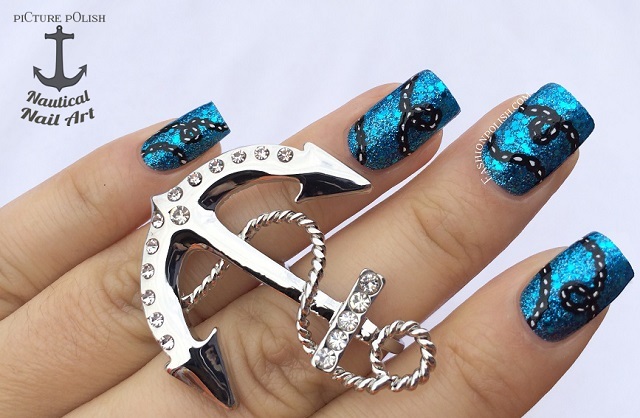 It's the most color accurate and shows much better the sparkle and depth of both glitters together!